Got dessert on your mind? Shop for sweet everything - from Macarons and Sugar Cookies to custom cakes and Alpha Cups, from The Designer Cake Maker, Neha Mote. As far as we can tell, Neha Mote (The Designer Cake Maker) doesn't own a magic wand or possess any sorcery skills, but somehow, her cakes are pretty magical. 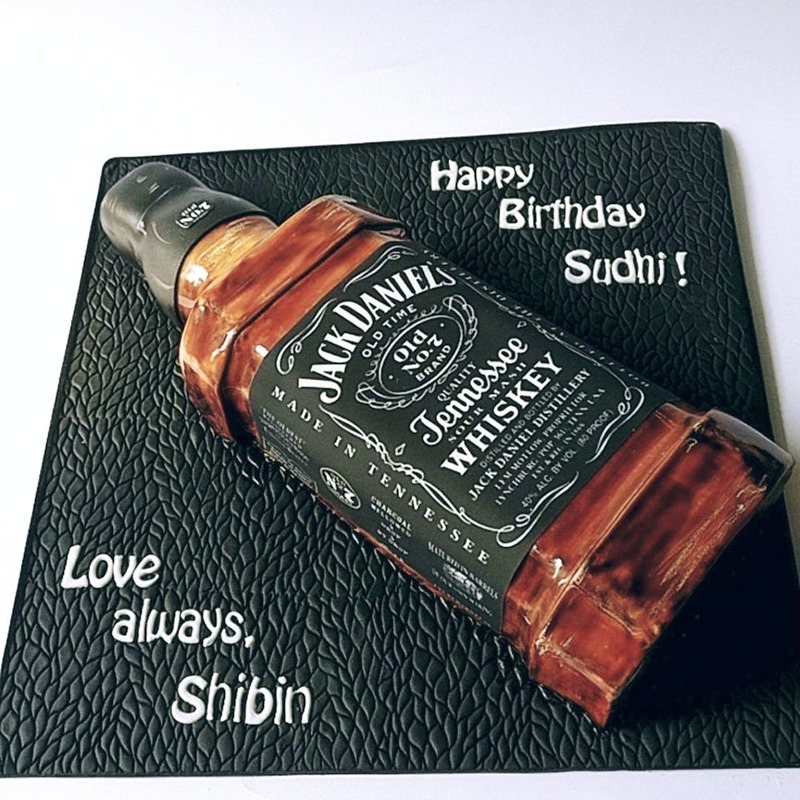 Whether you want a Harry Potter themed cake, complete with a golden snitch and a custom Hogwarts letter with your name inscribed on it, or a giant Jack Daniels shaped cake for your boozy friend, Neha can fashion a showstopper cake just for you. What's more, she can make it vegan, gluten-free, lactose-free and refined-sugar free. Prices start from INR 2,000 per kg depending on whether you want a fondant covering or buttercream frosting, but regardless of your choice, we guarantee you will get the cake of your dreams! Apart from her custom cakes (which we honestly can't get enough of), you'll find nibbles like Sugar Cookies - they're vanilla or chocolate cookies cut in different shapes, topped with a layer of icing. Priced at INR 70, they make great party favours and are easy on the pocket, too! Speaking of pocket-friendly, she also makes delicious Macarons starting at INR 55 a piece. If you're looking to go all out though, go for the Alpha Cups. They're basically cupcakes arranged in the shape of the initial of your choice (we spotted an 'N' arranged in Dr. Who themed cupcakes). Prices depend on the initial, so an 'I', for instance, costs lesser than a 'Z' or a full-on 'Will U Marry Me?' (you're welcome for that idea, by the way.) Since Neha doesn't have a physical store, you'll have to order via her Instagram and make sure you do so at least 3 days in advance. While she can Dunzo the smaller treats like cookies and cupcakes, Neha prefers to deliver the bigger cakes herself, or you can go pick it up from her space in Koramangala.